Gambling on the idea that Batman fans might like to watch something with Batman actually in it, Warner Bros. has defied modern conventional wisdom by fast-tracking a Lego Batman movie. 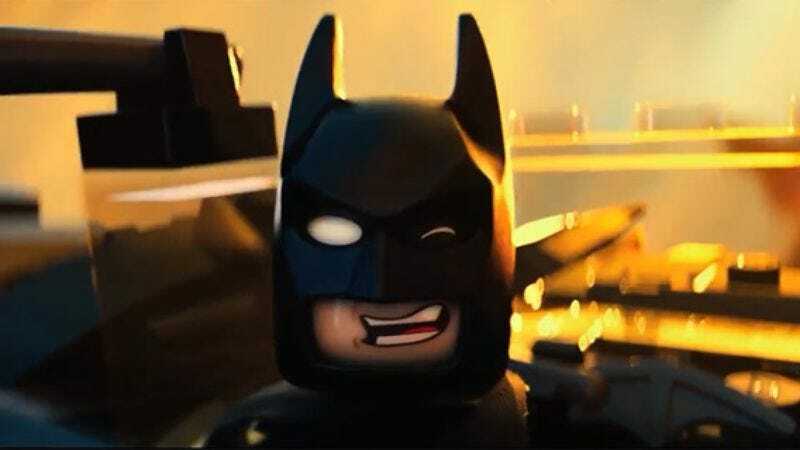 According to The Hollywood Reporter, Will Arnett will return to voice the character who stole The Lego Movie with his compelling story of darkness, continued darkness, and more darkness, in a spinoff about Batman visiting his parents. Just kidding: He has no parents. That’s what’s so cool about him. The Lego Movie’s animation supervisor Chris McKay will direct from a screenplay by Seth Grahame-Smith, who’s famed for writing the literary equivalent of two Lego kits smushed together in books like Abraham Lincoln: Vampire Hunter. And because their spinoff is being fast-tracked for 2017—and McKay was originally slated to direct The Lego Movie 2 for release that year—that sequel is now being pushed back to a yet-to-be determined date. Still, was Lego Movie 2 going to be in all awesome black? Seems kind of lame then, anyway.